City’s 27 km Orange Line Metro Train project threatens 27 heritage sites, 11 of which are protected under federal law and six under provincial law. Four churches dating back to the mid-19th century would be affected, including the Cathedral Church of the Resurrection. For activist, “we [. . .] will not sit back and let anyone destroy this 2000-year-old city”. 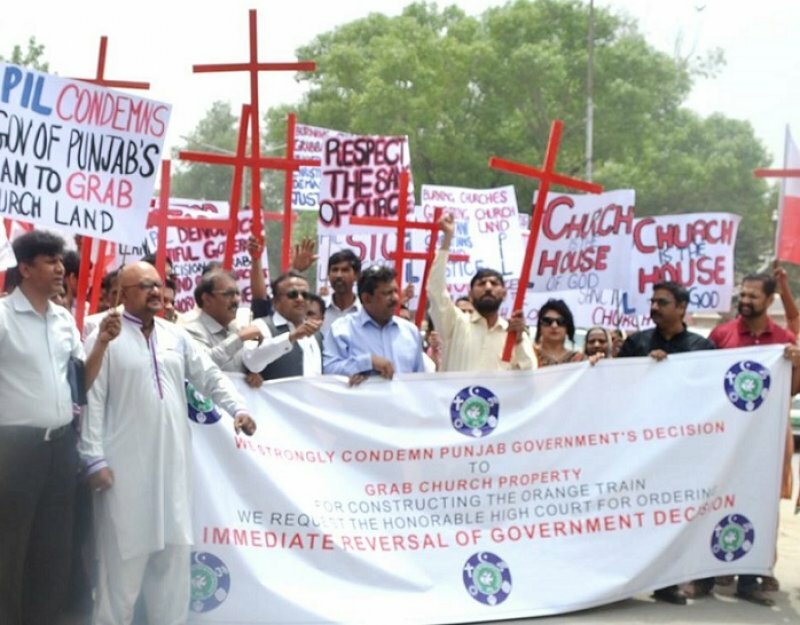 Lahore (AsiaNews) – A Christian foundation is challenging the Punjab’s plan for Lahore’s Orange Line Metro Train, which would damage historic sites and churches that are part of the country’s heritage. The 27 km Orange Line Metro Train project in Lahore threatens at least 27 protected cultural heritage sites. "We are not against progress and development [in the city], but of course we certainly condemn the process and the methodology of this project,” Michelle Chaudhry, president of Cecil Chaudhry & Iris Foundation (CCIF), told AsiaNews. The Christian foundation has petitioned the High Court of Lahore, arguing that the issue has been mismanaged. The Orange Line should improve public transport, but the route chosen goes through culturally and historically sensitive areas. The latter include the Shalimar Gardens, a world heritage site. Eleven sites are protected under the Antiquities Act 1975, and six under the Punjab Special Premises Preservation Ordinance 1985. According to the Foundation, the only one Christian organisation that has become involved in the issue, the consequences of construction are major. Thousands of people risk losing their homes, and many shop owners would be forced to relocate. For this reason, protesters have called on the court to rule against a clear violation of federal and provincial cultural heritage and environmental laws as well as the unfair seizure of land. Despite the assurances by the court, which have repeatedly said no church land would be touched, the situation remains uncertain. Four churches are concerned: the Cathedral Church of the Resurrection, St Andrew's Church, the Naulakha Church (near Lahore’s train station) and the Presbyterian Church. Some of these churches date back to the mid-1800s and represent important places of prayer for Lahore Christians. Their destruction or damage goes against Article 20 of the Constitution of Pakistan, which enshrines the fundamental right to profess freely one’s religion and own one’s places of worship. For months, talks have focused on the Naulakha Church. Any final decision is up to the local pastor, the authorities said. The latter noted that there are no plans to acquire church property. However, just raising the issue has been controversial because it indicates that the authorities plan to do something.